This thing IS fun. 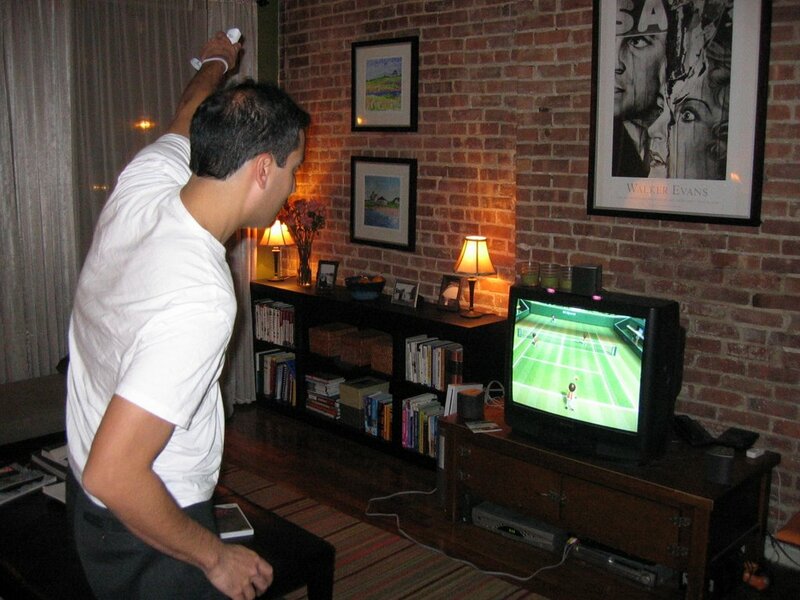 After playing Zelda for 12 hours straight (working in between fishing) we now put in the Wii Sports that comes with the console and it's awesome! I've never laughed so hard watching David physically PLAY tennis. The controller is amazing and you have to literally move your arms and swing! I think he's already broken a sweat after only a few minutes! Nintendo has really outdone itself with this great inventive game! I highly recommend for anyone who is looking for a new kind of gaming. I am still laughing about the stories you've heard of people not using the hand strap and having the controller fly into the TV. it looks like saturday night fever.